We came across this interesting article in the Daily Herald from last month. It touches on why it’s a good practical idea to consider having a full spa in your home. Stress is responsible for triggering incidents from panic attacks to illness — and even cardiac arrest. It weakens our immune systems. This is why the spa business is booming at an alarming rate. You can do some basic things to an existing bathroom to make it serene and comfortable, but if you’re planning on a bathroom renovation or build and are an advocate of de-stressing regularly and creating something like Le Nordik in your home, well then you might want to consider some of these tips. Stone treatments are key. 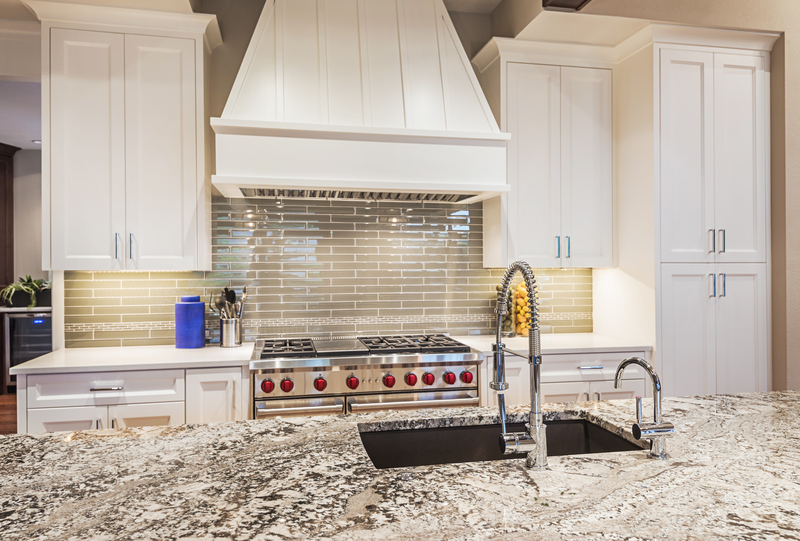 Natural stone (marble and granite) and quartz are popular in kitchen and bathroom designs for a reason. They are aesthetically beautiful, and what you see informs how you feel when you’re relaxing. Water, light and stone have been a totally natural combination for centuries. Reconciling these three elements in the design of your home spa is an essential. While there are many different takes on how a spa can look, we’re big fans of how the Greeks and the Romans did it. The Roman baths were almost entirely made of stone and were considered a communal gathering place as well as a place to pamper the body. Colour ideas? White is the way to go. 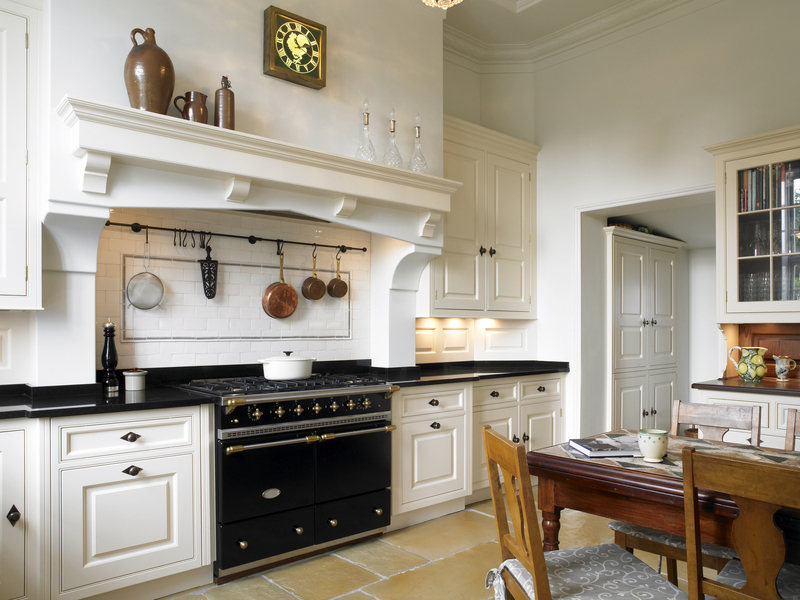 We touched on the importance of white in a kitchen. Same thing applies to a bathroom but for different reasons. 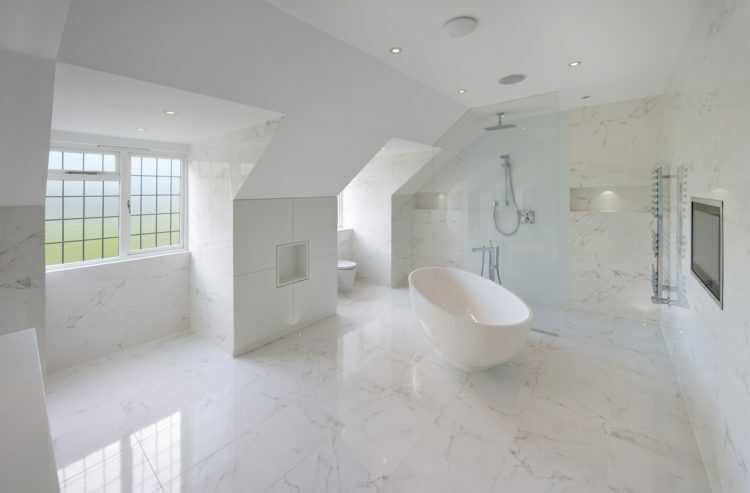 An all-white palette helps give any bath the feeling of a luxurious retreat. Marble is a natural choice for a spa at home. So is quartz. Most professionals will agree that white is right to create that spa feel. You can get some ideas on incredible white bathrooms here, at Architectural Digest. Consider a steam shower or bath. It’s not technically a spa without one. In the last 20 years, better vapor-proofing technology has emerged, making the management of moisture much easier. A steam shower or steam bath often looks like any other bath or shower with the exception that you can fill the room with a thick fog of steam via a steam generator. Companies like Steamist specialize in what you’ll need as part of the reno/construction. You can view some of their consumer products here. Incorporate a shower lounger or bench into a steam shower or bath. These are very useful to relax and detoxify. When you’re designing benches and loungers, ensure the surfaces are graded to keep water from collecting on them.